Get notified when George Lopez tickets are available! 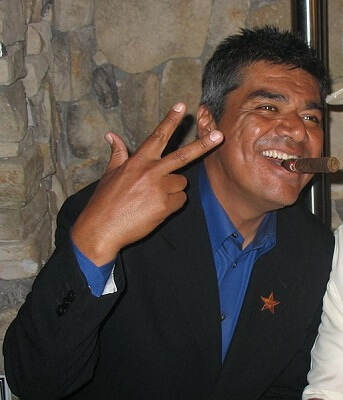 George Lopez is an American actor, comedian and talk show host. Well known for his starring role in his self-produced sitcom, George Lopez, on ABC, he is also hugely popular for his stand-up comedy that centers around his background as a Mexican American. He has won several awards and is beloved for his charity and awareness work on top of his entertainment business. He has completed several tours since his beginnings in 1983, and you can be a part of the hilarity when he comes to a city near you by getting George Lopez tickets with the links above.